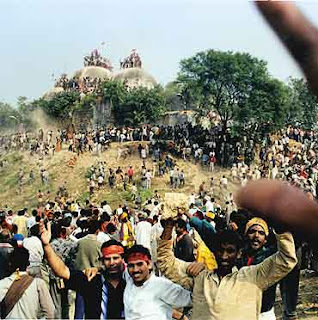 Today on Thursday 6th December 2012 its 20th Anniversary of Babri Masjid Demolition . Two decades ago today in 1992 Babari Masjid was martyred by thousands of Hindu Extremists in Ayodhya. Thousands of Muslims where also killed by Hindu Terrorists after Demolition of the Mosque. Babri Masjid was made in 16th Century. Two decades are over while culprits of this incident are still living freely. Muslims of India went to every court of India but not got the justice. Hindu Extremist politicians like LK Advani who where responsible for leading the demolition are main politicians in India today and no one dares to touch them. Incidents like Babri Masjid demolition and no punishment for the culprits shows how secular India is?